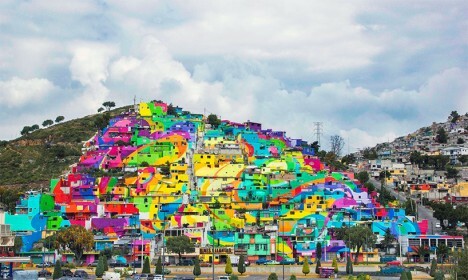 Waves of rainbow color cascade down a hillside neighborhood in Mexico’s drug capital as a street art collective paints over 200 houses. 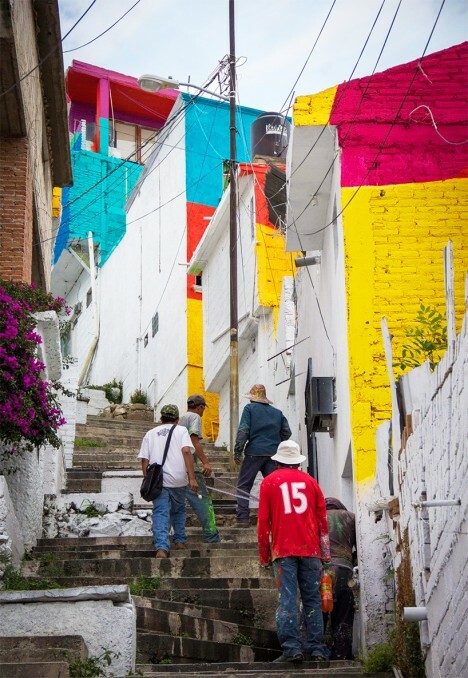 ‘German Crew’ enlisted the help of youth living in Las Palmitas to transform the town, brightening the facades of almost every single building in continuous swoops of fuchsia, orange, yellow, green and blue. 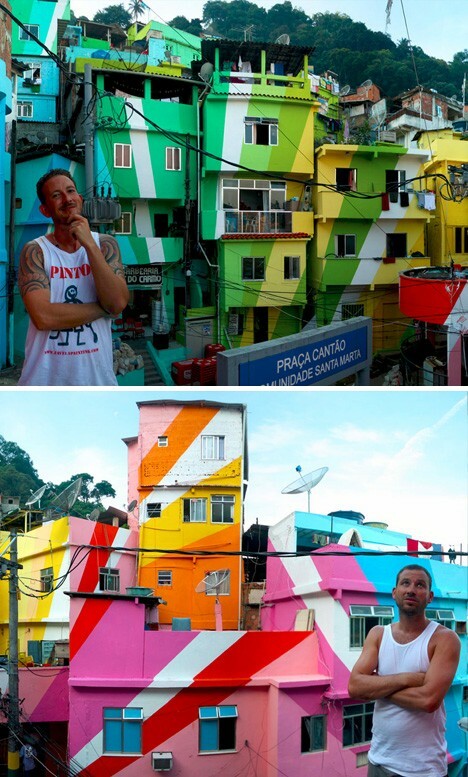 The muralists covered 20,000 square meters (225,280 square feet) with powerful pops of color. Commissioned by the Las Palmitas municipality, the project is five months in the making, and these photos only show completion of the first stage. 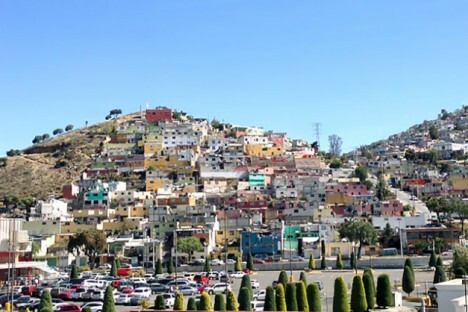 The aim is to revitalize the town, which is located in the state of Sinaloa, where most of the country’s drug cartels are based. 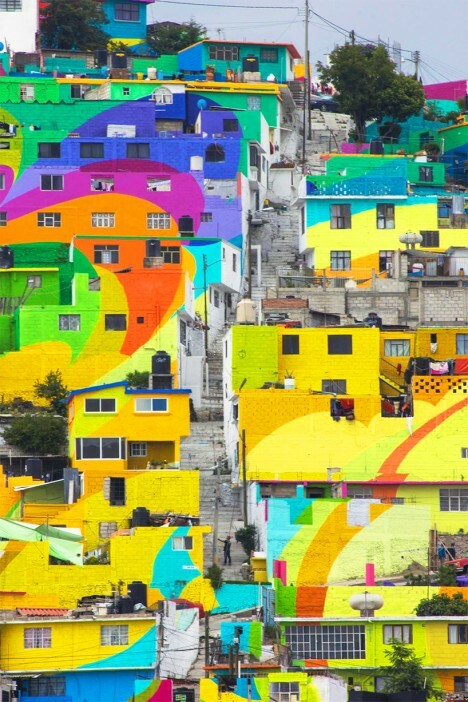 According to the German Crew Nuevo Muralismos of Mexico, the project involved the participation of 452 families, or 1,808 people living in the neighborhood. 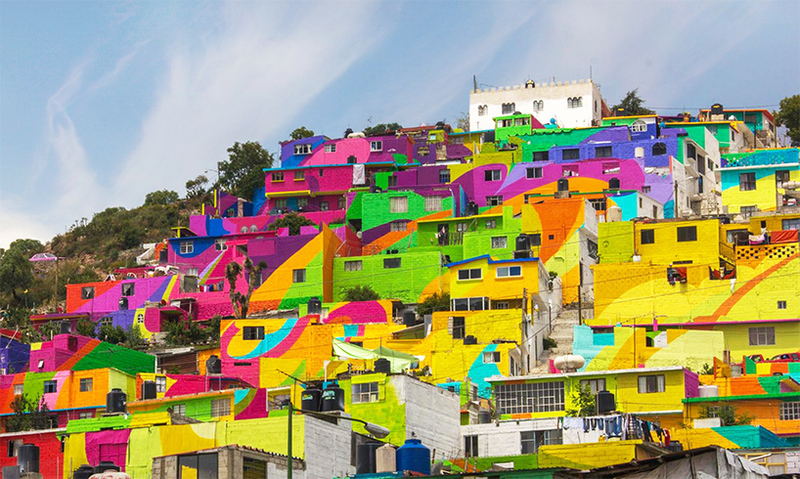 Keeping kids and teenagers busy painting all of those houses nearly eradicated violence among youths while it was in progress. Lots more photos can be found on the crew’s Facebook page and Instagram. 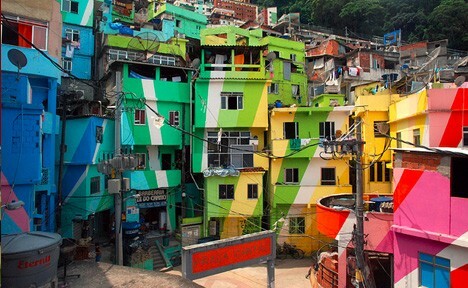 Previously, street art duo Haas & Hahn transformed 34 buildings in a Rio de Janeiro favela (above), with the similar effect of creating jobs, bringing the community together and making a place that’s often feared by outsiders feel more welcoming. 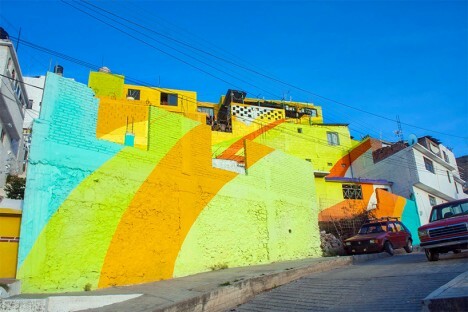 These large-scale mural projects can bring attention to under-served neighborhoods and help boost residents’ sense of pride.